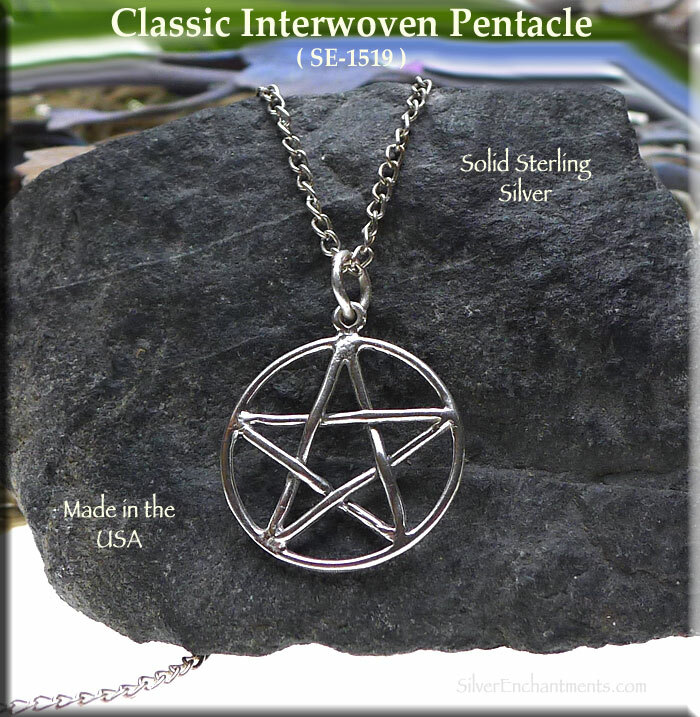 Classic Interwoven Sterling Silver Pentacle for your Pagan Charm Bracelet or as a Necklace. Cast in Solid .925 Sterling Silver here in America, these Pentacles measure approximately 24mm tall x 20mm diameter. Overall Size: 24mm x 20mm = ~1" x 3/4"
Charm-Pendant measurements do not include the length of any removable attachments. These will vary some, but a standard jump ring would add about 4mm (~1/8") onto the overall length. 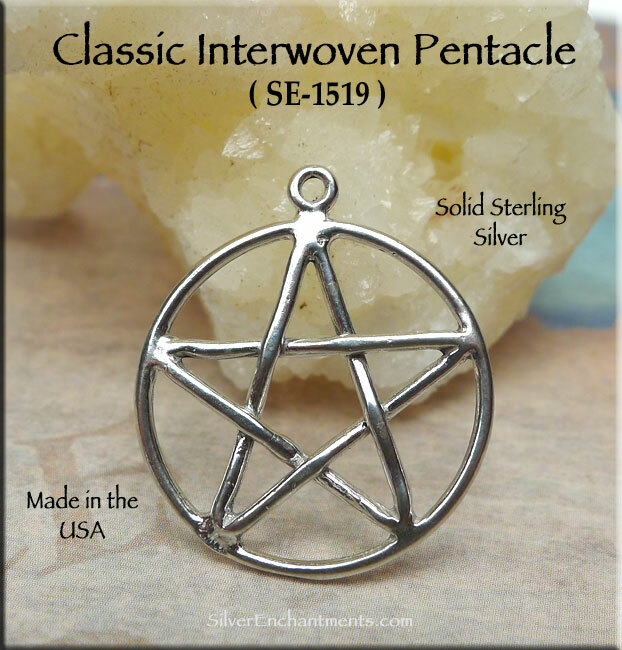 > You can Customize this item into a Pentacle Necklace -- Choose from : Charm-Pendant Only or on a Sterling Silver Necklace Chain (see last picture for current chain style). 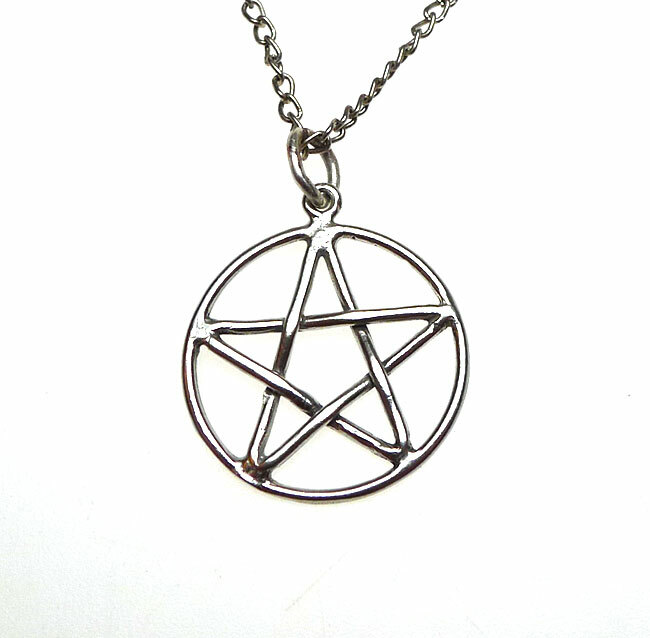 When selecting on a SS Chain, your Solid Sterling Silver Pentagram Necklace will come Boxed. 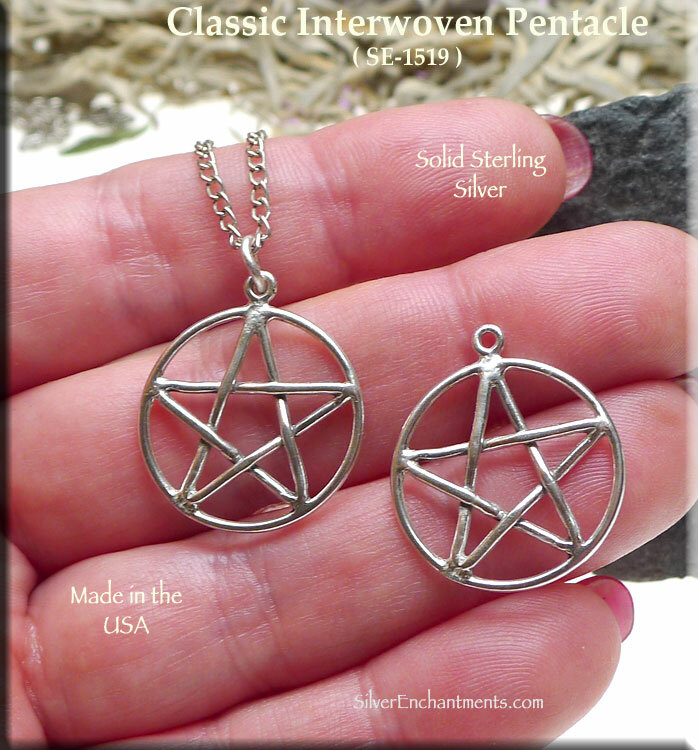 > Sterling Silver Woven Pentacle Earrings are Also Available.